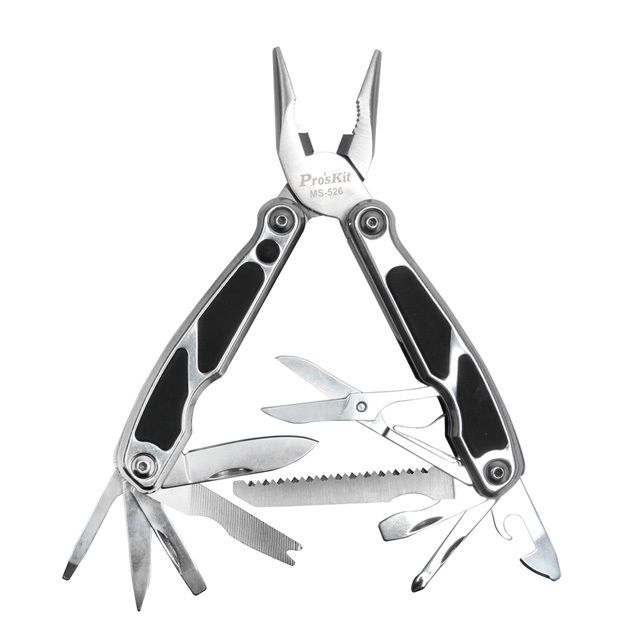 This Multi-Tool comes with spring loaded pliers head with LED flashlight and 10 useful tools, whether working on a construction project, at home, on the road trip, go fishing, hiking mountain or out camping, keep it on hand get more safety and convenience. Rugged stainless steel construction, corrosion-resistant. With nonslip rubber grip handle, more durable and comfortable. Comes with spring loaded long nose cutting pliers head. Folds to a compact pocket size that is convenient to take anywhere. With pouch bag for easy storage. Dimension: 6.10" Overall (not include knives) and 3.94" closed.